I find sharks fascinating for the same reason a lot of other people do: I think they’re terrifying. I turn to Shark Week in order to better educate myself about that fear, and also because sharks are as amazing as they are scary. I unironically love Shark Week, but even I have to acknowledge that it has some issues. The Discovery Channel’s week-long dedication to all things toothy, Shark Week has been running since 1987, showcasing documentaries and programs about, well, sharks, from the commonly known—like the hammerhead and the perennial favorite, the great white—to more rare, like the deep sea ghost and dog sharks. There is an inherent spectacle to sharks: they’re large apex predators who live for decades, and they sometimes attack people. Our fascination with sharks has led to their deadly side being dramatized and exaggerated in films like Jaws and Deep Blue Sea. We see sharks as violent animals, and Shark Week has always played into that assumption. This year we heard about several survival stories from people who had been attacked by sharks in I Escaped Jaws 2. But sharks hunting their natural prey can be as grisly and as exciting to watch, like great whites hunting seals off the coast of South Africa, which is the only place in the world where they leap from the water at high speeds, killing or incapacitating seals with one hit. (If you’ve never seen that before, you need to watch this right now. Go to 4:45 to see some air time.) Air Jaws: Fin of Fury was another in a long line of programs dedicated to this “Polaris breach,” as it’s called. So, yeah, there is some sensationalism inherent in natural shark behavior—it’s the violence but also the mystery, the fact that sharks are part of a distant, alien world that’s hostile to humans. That’s why they get a week of television dedicated to them on the Discovery Channel every year for the past twenty-seven years. It’s why it’s Shark Week, and not, say, Bear Week. 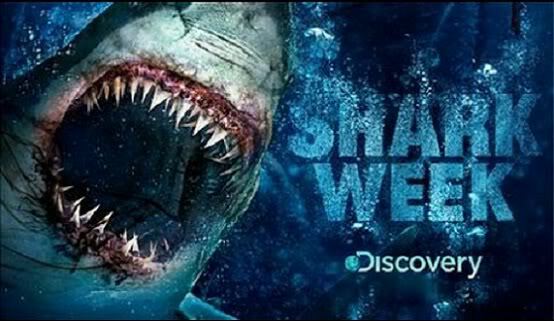 Shark Week weaves that sensationalism and the science together; it’s what’s made the event so successful for so long. Two of my favorite programs from this year used this approach. Monster Hammerhead and Spawn of Jaws: The Birth both relied on our fear of sharks and on our interest in them, covering spectacle and science in equal measures. In Monster Hammerhead, scientists chased down fisherman stories about a twenty-foot hammerhead named Old Hitler, who supposedly had been living off the coast of Florida since World War Two. Concrete evidence that Old Hitler was real was never discovered, but in the process I learned more about Florida hammerheads than I had before. Plus, I got to laugh every time the overly serious narrator said “Old Hitler.” In Spawn of Jaws: The Birth, we followed Dr. Michael Domeier as he tried to discover where great white sharks go to give birth. He did this by tagging one of the largest female sharks on the planet and then following the signal that tag gave off for eighteen months. There was a natural tension that came from the understanding that this could be Dr. Domeier’s only chance at figuring this out, especially when the heavily pregnant shark, affectionately nicknamed Gill Rakers, went missing in the Sea of Cortez, a place rampant with illegal big shark fishing. It’s exciting to be along for the ride as a scientist discovers new information about something as iconic as a great white shark. For both Monster Hammerhead and Spawn of Jaws: The Birth, the most artificial part of them were the titles. In fact, most of the programs this year have ridiculous names, perhaps meant to mask the more educational elements of these documentaries, instead parading them as cousins to SyFy flicks, like the popular Sharknado movies. Names like Sharkageddon, Lair of the Mega Shark, and Jaws Strikes Back make it seem like The Discovery Channel is more interested in tricking a viewership into watching what sounds like a shark/horror movie than what these shows actually are, which would be about why there has been an increase in shark attacks around the Hawaiian Islands, exploration into the night-feeding habits of great whites, and a research expedition to capture on film previously undocumented hunting behavior, respectively. Honestly, I wouldn’t care about these titles and why Discovery uses them if they weren’t indicative of a much larger problem in my beloved Shark Week. Taking (in my opinion) a miscue from last year’s fake documentary (they call it “docufiction”) about a possible living Megalodon, Shark Week premiered this year with Shark of Darkness: The Wrath of Submarine, a found footage-style mockumentary about a tour boat wreck off of Seal Island and what happened when those survivors came up against a thirty-foot great white shark, called Submarine. 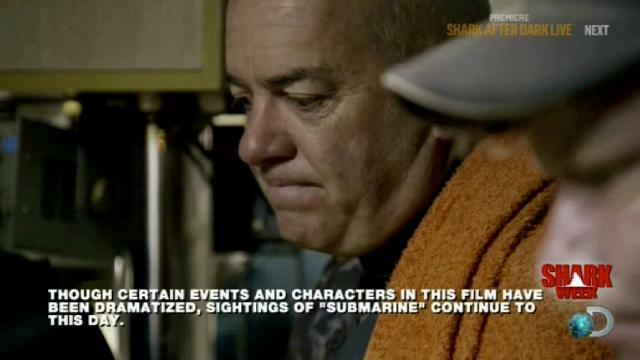 In between interviews with survivors and shaky-cam footage of the “shipwreck” were testimonials and “first-hand” accounts from others who had come face-to-face with Submarine and survived. Employing bad actors and shoddy CGI, this fictional history did everything it could to create a villain out of an animal that the week was supposed to celebrate, and left me wondering why it was airing on Discovery and not SyFy, where it would feel more at home alongside other terrible shark movies like Sharktopus and Two Headed Shark Attack. And before you come after me for not liking terrible shark movies, let me just say that I love terrible shark movies. I was livetweeting Sharknado 2 alongside the rest of you. I just don’t think they belong anywhere near Shark Week. 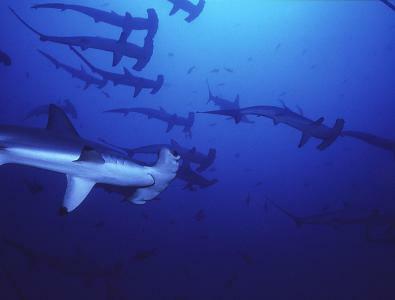 One hundred million sharks are killed every year. Most are killed for their fins, which some people find delicious, I guess. For me, Shark Week is about shedding light on an otherwise mysterious and seemingly violent creature in order to help in the conservation of sharks. If you can get someone interested in sharks and actually invest them in these complicated and fascinating animals, then they’re more likely to be vocal about protecting them. Do you know how I know this? Shark Week ran commercials with that exact message from Fin Free, a shark conservation group, all week long. Shark Week is supposed to be about making people care. It’s about de-mystifying sharks, about turning them from monsters into animals that are in dire need of our help. That message gets muddled when Shark Week opens with a two hour long fear fest all about a shark with a major sweet tooth for human. Shark Week has been around for a long time and it’s had to reinvent itself in order to stay alive, I understand that. This year again saw the live talk show, Shark After Dark, recap every night of the week, bringing on celebrities tangentially related to Shark Week and asking shark experts questions that gave me second-hand embarrassment. Discovery also kept a live scrolling of social media quotes from Shark Week fans along the side of the screen during prime time. I have nothing against these attempts to make Shark Week an exciting, accessible event geared towards big audiences, but the core of Shark Week should always come back to educating people about sharks, not about shock value or trying to keep up with the latest Asylum release.